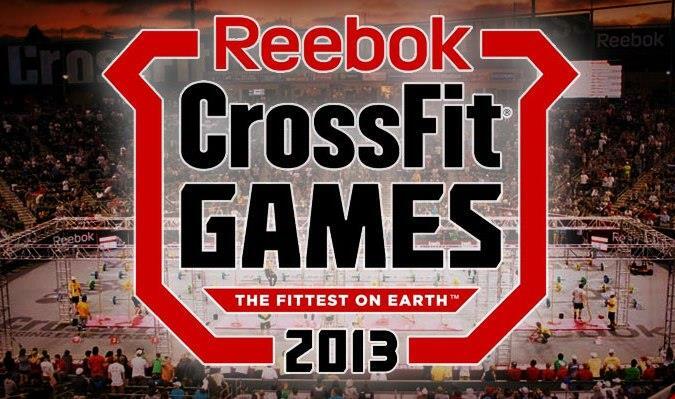 WITH THE CROSSFIT GAMES THIS COMING WEEKEND (JULY 26TH-JULY 28TH) THERE ARE CHANGES TO OUR REGULAR SCHEDULE. 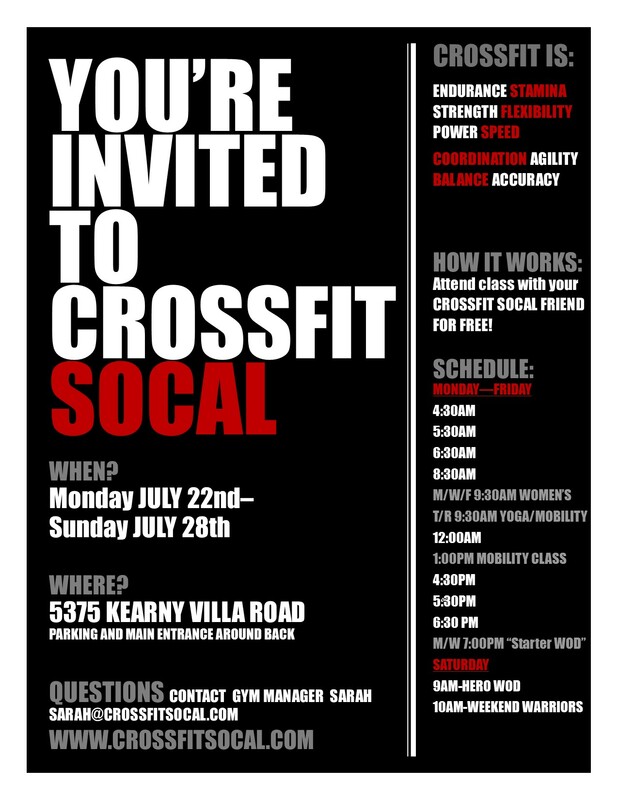 Members can bring guests to any of our regular scheduled classes (elite fitness classes, yoga/mobility, starter WOD, etc.) 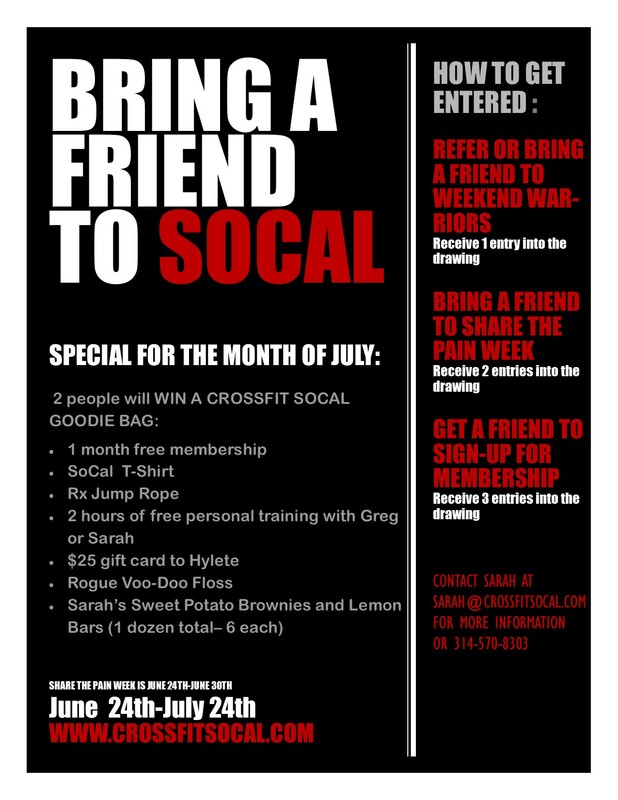 to try out CrossFit SoCal for free.